Nancy Glazier is one of today's most talented wildlife artists. She loves to be among the animals and cherishes each encounter with them. 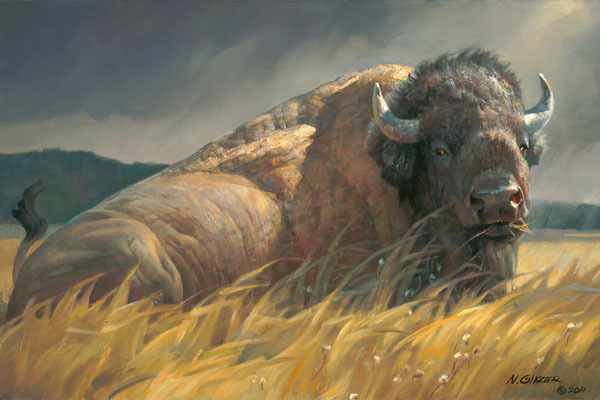 A huge bison, relaxing in the grassy landscape, stares intently from the canvas, and his demeanor tells us he is the "Big Boss." As the patriarch of his herd, this "Big Boss" has the hard-earned respect of the other bison.